The British division of the 3 billion pound recruiter is cutting staff, and barely growing. Luckily, the sluggish UK economy was offset by hiring in Germany and Australia. Like Hays, UK companies will increasingly have to seek their fortune overseas. 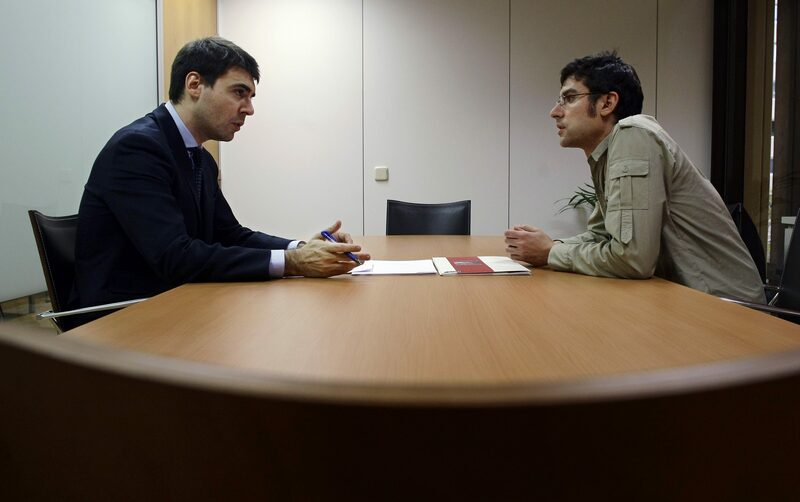 Hays Recruitment Consultancy Section Manager interviews a candidate at the Hays offices in downtown Madrid December 5, 2008. Hays, the British white-collar recruitment company, announced a special dividend and increased its full-year dividend by 18 percent on Aug. 30 after reporting higher annual profit due to strong growth in Germany and Australia. The company’s like-for-like net fees in the year to June 30 increased by 12 percent to 1.1 billion pounds. Hays’ UK and Ireland division saw a 2 percent increase in like-for-like fees during the financial year, the slowest growth of its four regions. Hays’ shares were down 1.7 percent to 199 pence by 0730 GMT on Aug. 30.